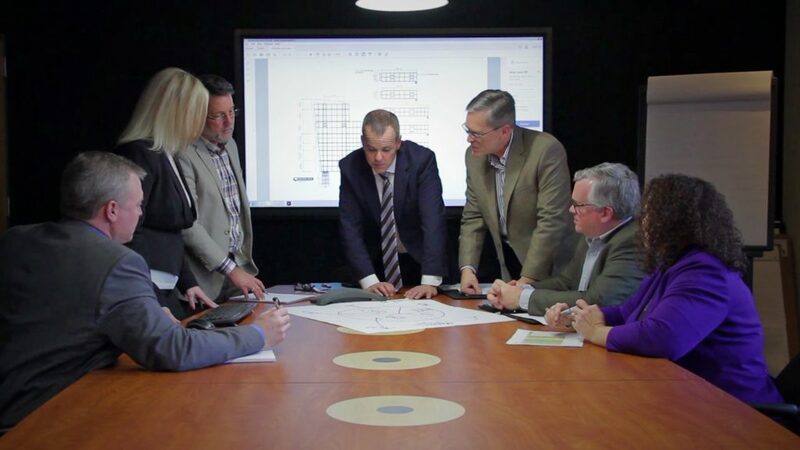 From beginning to end, Gable has the people, technology, and experience to manage every aspect of your project. Our team starts by listening to your ideas, evaluating your needs, and researching a variety of options to ultimately find the best solution. Gable is focused on what we can do for you rather than what the product is. Whatever your project requires, you can count on Gable’s full range of services and industry expertise to get the job done right. Meet with our experts to discuss your specific building objectives. We’ll provide recommendations for exterior and interior enhancements to your building, property, place, or space. We’ll develop and present a design approach using advanced digital renderings to test scale, materials, finishes, architectural compatibility, and media integration. Gable’s technical design experts provide the preliminary engineering of projects to ensure structurally sound designs. We translate conceptual designs into technical drawings which serve as comprehensive instructions for UL and NEC compliant fabrication. As part of the design process, we’ll research the best approaches to integrate hardware, software, and audiovisual technology. Then we’ll formulate a plan for how these complex elements work together. You will have direct access to your Project Team who will provide a plan that includes design review, site surveys, permit procurement, technology coordination, resource management, and implementation methodologies. Our skilled craftsmen turn ideas into reality using their expertise to translate comprehensive documentation into custom built solutions, designed to the highest standards. Gable will manage all aspects of installation for even the largest and most complex building projects. We’ll handle all ordering, packaging, and coordinating for multi-location rollouts nationally and internationally. We offer complete support plans to match your individualized needs. With our nationwide service, thoroughly trained personnel, and tireless dedication to service, we pride ourselves on finding the quickest resolution to getting you back up and running if you experience a problem.